1 With ambient temperature of 22°C in still air. 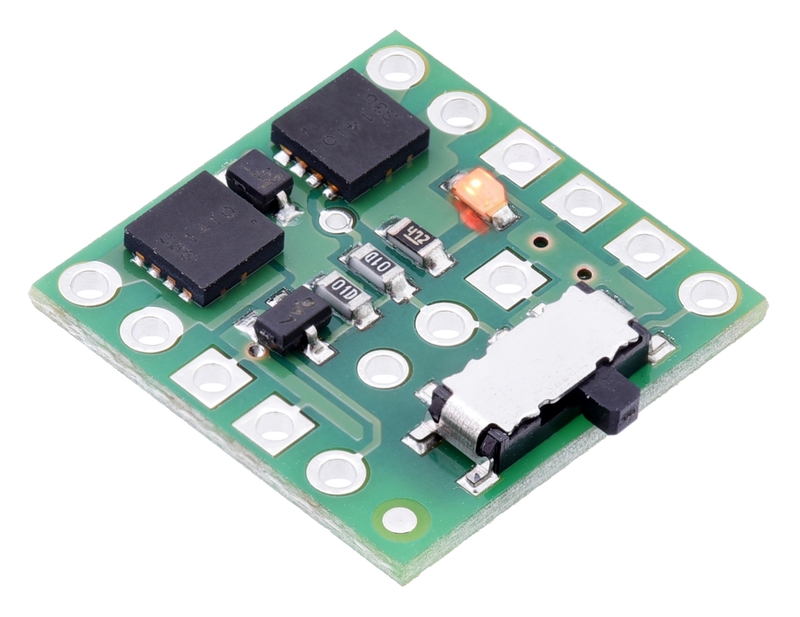 The MOSFET Slide Switch is compatible with solderless breadboards and perforated printed circuit boards with standard 0.1″ spacing. 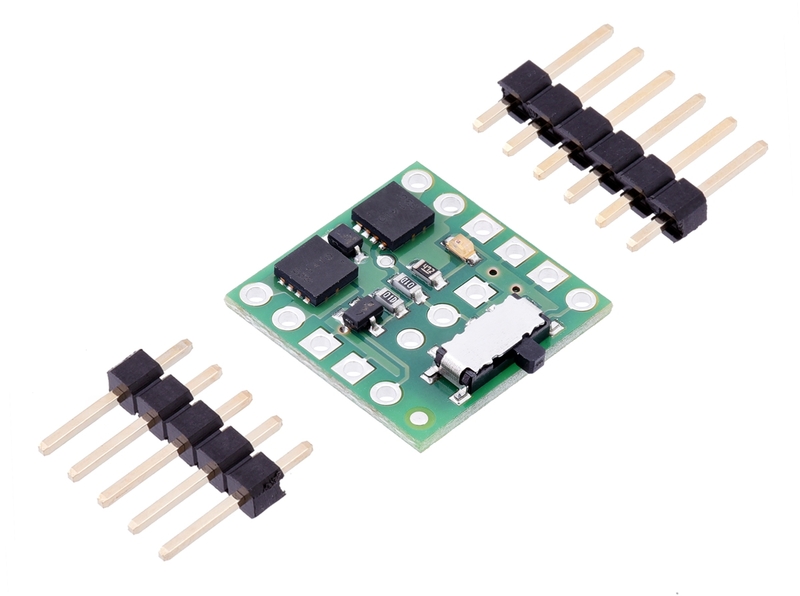 For such applications, the included male header pins can be soldered to the switch PCB. 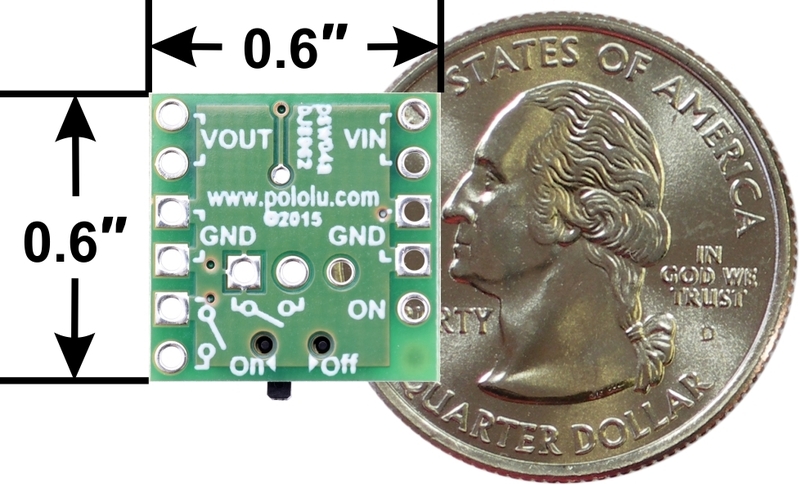 Alternatively, wires can be soldered directly to the switch PCB for non-breadboard applications. For high-current applications, make sure that the wires can safely carry the current. Two pads/pins are provided for each of the power nodes, and multiple pads should be used for applications drawing over 5 A.
Schematic diagram of MOSFET Slide Switch with Reverse Voltage Protection. This diagram is also available as a downloadable PDF (283k pdf).